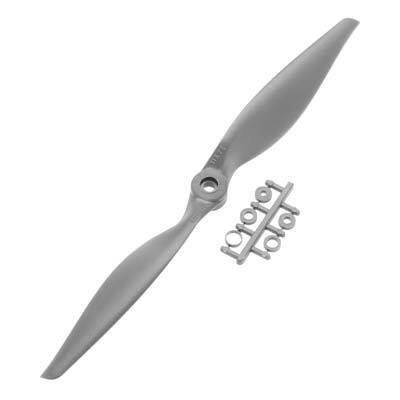 This is a 11x7E Thin Composite propeller from Advanced Precision Composites. Gray composite propeller blades that assemble onto a propeller hub. ALL props require balancing, this is VERY important.